2014 has been a big year for Cedar Rapids Ultimate. This past year we set forth as a new nonprofit to follow through on our mission to grow the Ultimate community in Cedar Rapids. We built relationships in the community, shared the sport of Ultimate with dozens of area children, expanded the amount of Ultimate that was played in Cedar Rapids and we even got the IRS to jump on board. We’ve got big plans for 2015 but before we get ahead of ourselves let’s take a look back at everything that CRU accomplished in 2014. Wow! Where to begin. Oh yeah. How about the IRS loves us! When we (Me, Taylor and Caleb) decided to create a nonprofit organization dedicated to growing Ultimate in Cedar Rapids we found lawyers, created a mission statement, filed paperwork with the state, created a budget, completed the proper forms and sent them to the IRS and then crossed our fingers. Even with all the work done and all the best of intentions, we were still at the mercy of the IRS. It was common for organizations to wait any where from six months to more than two years before hearing back from the IRS. We waited…but not for as long as we thought. Only 10 weeks after mailing in our form we got a letter from the IRS. We all opened it together and when I saw the phrase ‘the IRS is pleased’ I knew we’d made it. 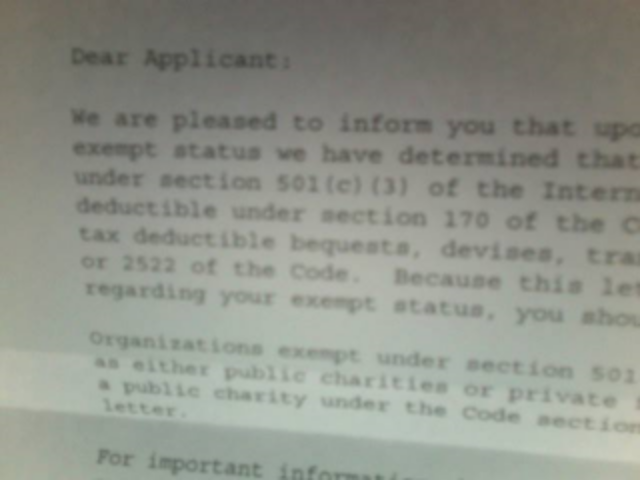 We had earned 501(c)3 nonprofit status, meaning that we are now able to accept tax deductible donations. If you want to support the growth of Ultimate in Eastern Iowa please consider a donation. All gifts will go towards expanding the youth programming in 2015. You can donate at www.crultimate.org. Speaking of our youth programming, we took a big step in 2014 to spread the sport of Ultimate to more area children. This year we reached out to other area nonprofits that worked with children and discussed how we could help each other out. We worked regularly with Jane Boyd throughout the summer. CRU volunteers would teach the kids there about Ultimate a few hours a week. Giving the kids a chance to get outside, run, catch and throw a disc, and learn about the sport. We also continued our Summer Youth League and were able to reach kids who hadn’t played Ultimate before and got them really excited about the game. We also moved forward with our adult programing by offering pick up games and league games throughout the year. Our adult games were highlighted by the two hat tournaments we hosted this year. We hosted our first hat tournament ever in August of 2013 and decided to host two this year. We got more than 40 players at our spring tournament and more than 20 at our fall tournament, which landed on a cold and windy day. These tournaments are a great chance to get out and play some Ultimate but more importantly they are the main fundraiser for Cedar Rapids Ultimate. All the fees collected from these tournaments will help to build the Ultimate community in Cedar Rapids. The more people that participate in our events, the more we will be able to give back to community. If your waiting for the bad news, wait no longer. This year we also had to say goodbye to CRU board member and founder, Caleb White. He has moved to Minneapolis and will no longer be able to fill his large role within CRU. Caleb has a love for the sport and a knack for making players feel welcome that was vital to our success. We will miss his enthusiasm, energy and his beautiful, beautiful hair. With Caleb’s departure there will be a BIG hole to fill in 2015. If you, or someone you know of, is interested in being involved with Cedar Rapids Ultimate, as a volunteer or a board member, please contact the organization at cedarrapidsultimate@gmail.com. 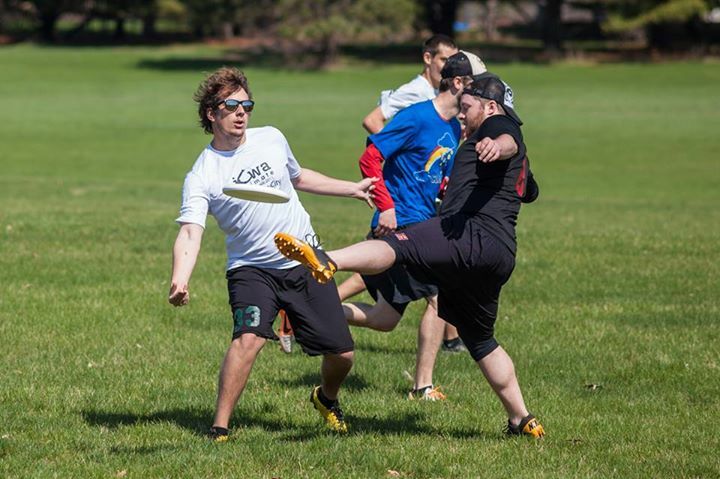 2014 was a year of growth and learning for Cedar Rapids Ultimate. We know there’s a lot more we can do to promote and grow the sport of Ultimate in our neck of the woods, and we aim to find out how much we can do without over-extending our resources. We’ve already got some big plans for 2015 but there’ll be more about that in the next post. Thank you to everyone who came out and played Ultimate in Cedar Rapids this year!